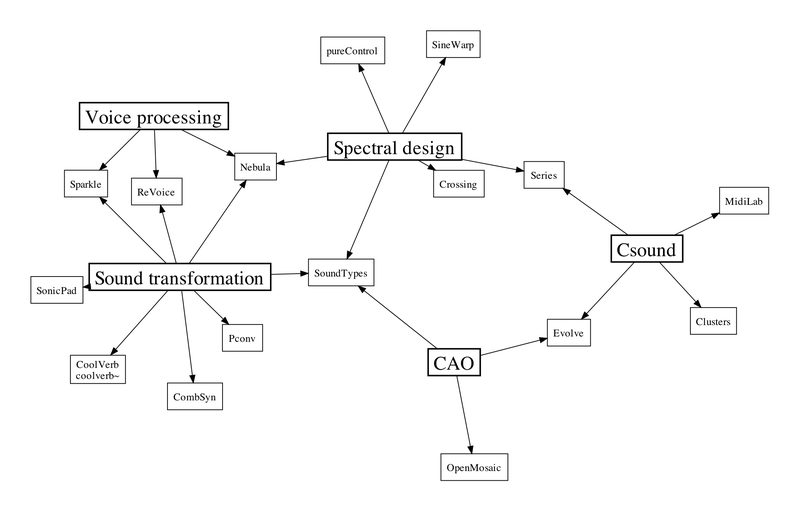 The following conceptual map depicts the relations between the various action fields of the distributed softwares. Please see the links provided below for more information. By downloading any of these softwares you implicitly accept the disclaimer listed in the Contacts page. Orchidea is an evolution of the Orch* tools and performs assisted orchestration. The design principle is the Pareto rule of 80/20: we wanted to have a tool that is able to solve the 80% of the problem but takes the 20% of the development time. 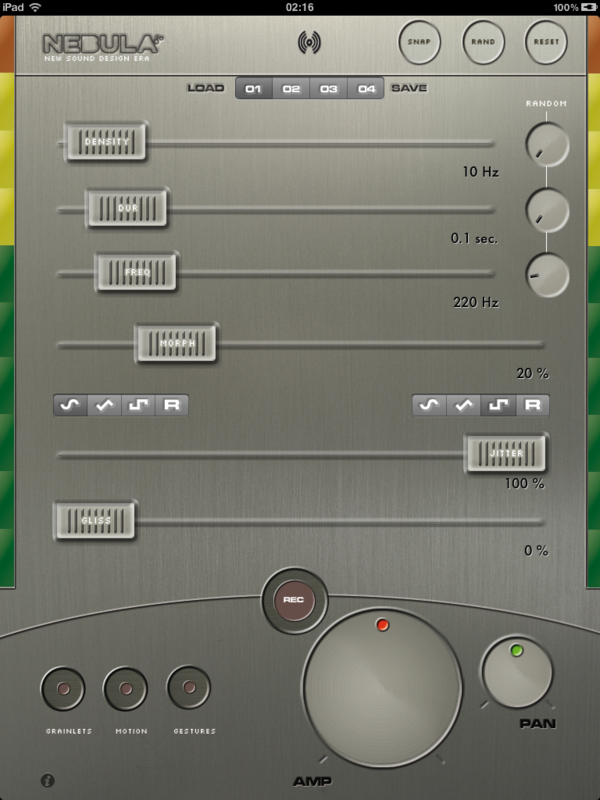 SonicPad is a set of tools for high-quality sound transformations made of several algorithms that operate both in time and frequency domains. 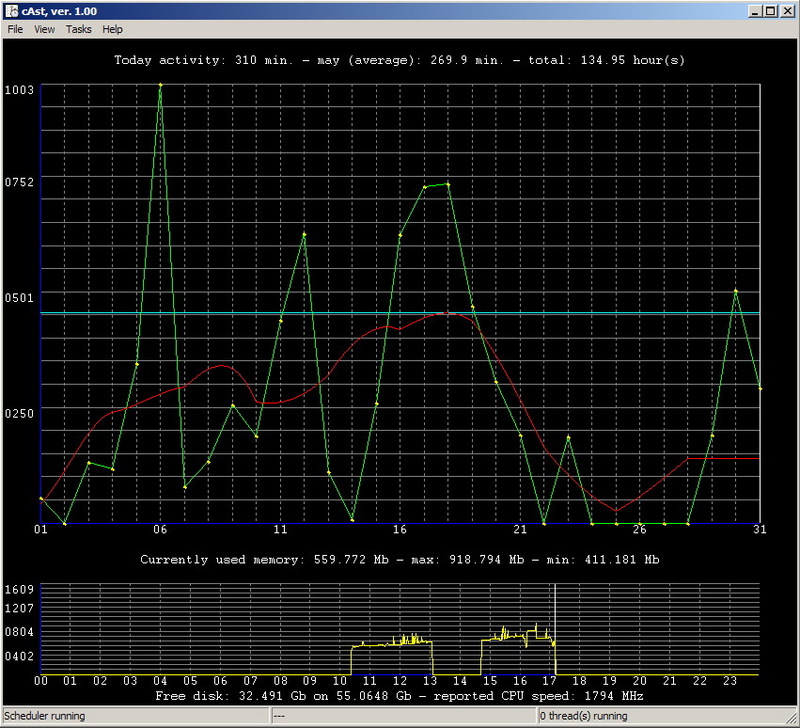 The tools can be used independently (as command line utilites) or using the provided GUI. This tool also encapsulates also Sparkle, CombSyn, CoolVerb, Pconv and an offline version of Nebula. 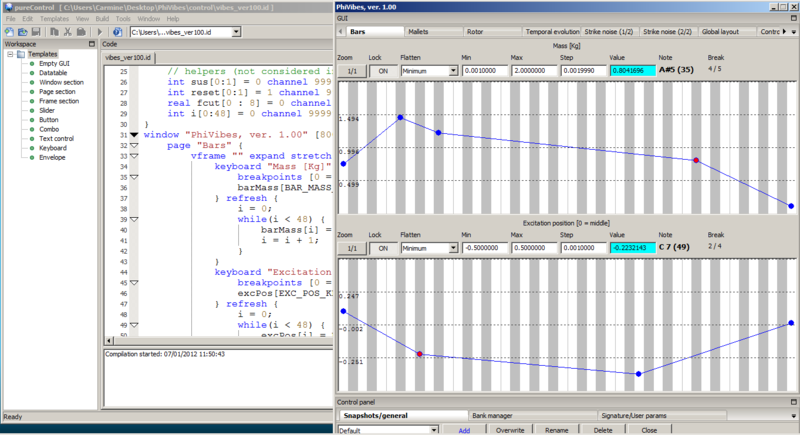 SoundTypes implements a new method to represent and manipulate sounds in a quasi-symbolic way by means of low-level features and subsequent analysis stages. This software is still really *experimental*; for more information please see the research page. 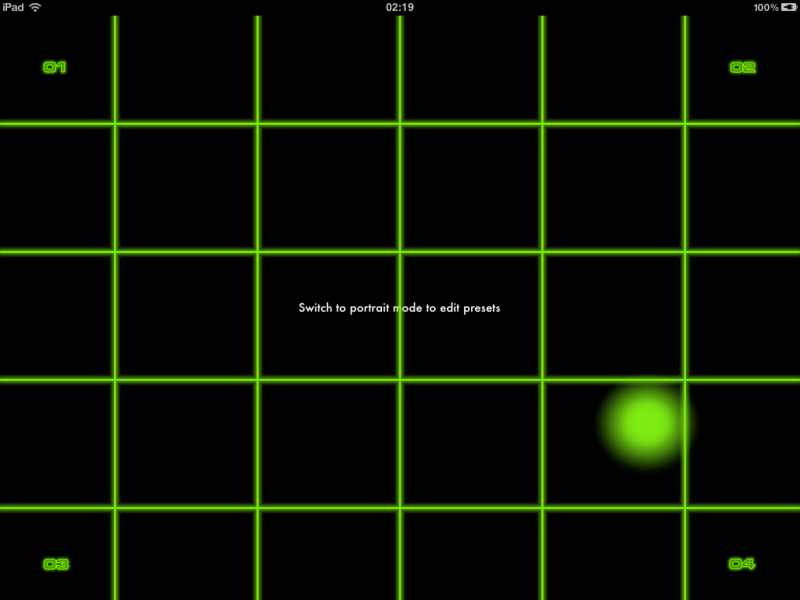 Nebula brings real-time granular synthesis to the iPad, including glissons and grainlets. Granulation can be performed on several prototypal waveforms (sines, triangles, squares, noise) and morphing can be applied between them. It is possible to store presets and interpolate among them using a single finger through the gesture mode (activable by the provided button or simply by going to landscape mode). You can also save and load banks of presets and share them to your friends through iTunes, using the App page. In the motion mode, it is possible to control some parameter of the synthesis in a physical manner by simply moving the iPad in your hands. Finally, all the produced sounds can be recorded and exported to your favourite platform: the recorded sounds will be found in iTunes under the App page. There exists also an old (different and mainly unrelated) version for Windows that can be found below. 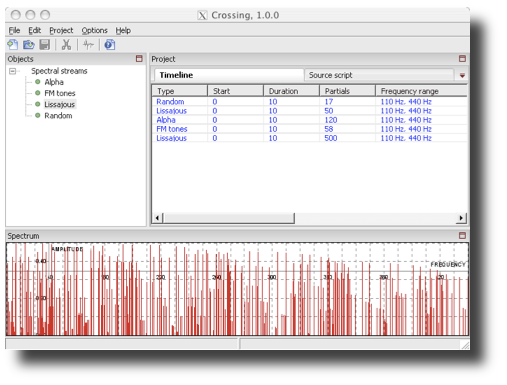 Crossing is a software for assisted composition using additive synthesis. It provides specific tools to create spectral states and interpolate between them. Among the spectral designs it is possible to find methods related to mathematical series, fm-like tones, random spectra, etc. 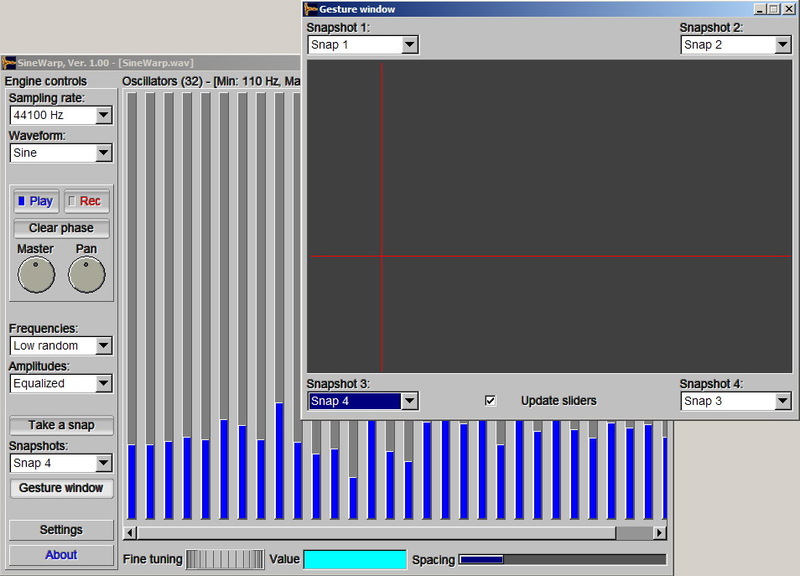 All scores of spectra can be rendered to an audio file to be used in other platoforms. pureControl is a realtime control environment based on a dedicated language: IdiL (Idiot Language). It can create complex GUIs made of different types of controls and it can associate a callback action to each control to communicate with external synthesizer by socket messages. Sinewarp is a tool for additive synthesis; it lets you build and control up to 512 oscillators through high-level functions and vectorial control; moreover, it lets you record sound in realtime and save spectra with snapshots. reVoice is a realtime environment to synthesize human voice, giving the possibility to modify the original pitch without altering the formant structure of the source. The program can also produce harmonization effects and is based on synchronous granular synthesis and on other complex techniques to detect the pitch of a signal in realtime. OpenMosaic is a simple tool to analyse properties of pc-sets (z-relations, etc.) and, most important, to generate mosaics (trichordal generators, generated hexachords, tri-tetra-hexa-chords mosaics, etc.). 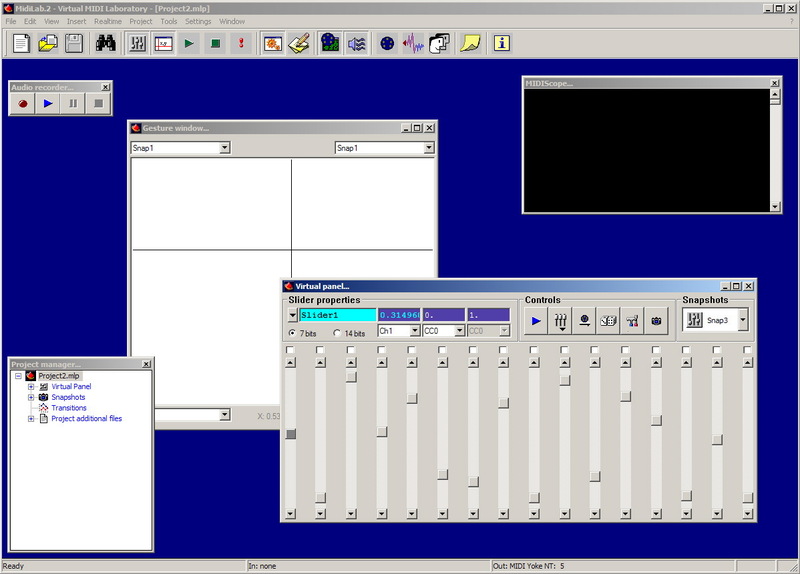 MidiLab is a powerful MIDI control surface for audio synthesis; it lets you build panels of control sliders and manage them by vectorial control; it can be used as realtime controller for Csound. Clusters generates rhythmic patterns by filling a table and by moving parameters in realtime; it creates a sort of MIDI granular synthesis; it can be used with Csound. Series is a small tool to calculate math series and generates complex spectra with the help of Csound. It is possible to design spectral interpolation between the selected series. Evolve is a language to create Csound scores; it lets you create clusters of notes from rhythmic patterns. The software is a command-line tool that can be used as a sort of compiler (more info on request). PerfectTune is the ultimate tuner for stringed instruments. Not only does it feature a lightning fast pitch detection system, unparalleled by any other tuner on the AppStore, it also comes with an innovative multi-string layout that lets you tune your instrument quickly to a great variety of tunings. PerfectTune features optimized algorithms for Guitar, Bass, Banjo and other stringed instruments, and for each these you can choose from a range of relevant tunings. There's dropped and open tunings for guitar, period tunings for lute, support for 5 and 6-string bass guitars and various tyoes of banjo. In the innovative Strings view, all strings of the current instrument are laid out on the screen, making it very easy to quickly tune up. When you select a different tuning, such as Open D for guitar, the pitches in the Strings view are adjusted, helping you adjust the changed strings in a matter of seconds. The smart calibration system lets you either enter a reference frequency by hand, or calibrate automatically to a played note. This makes it very easy to get yourself in tune to a fixed-pitch instrument, such as a piano, organ or pitched percussion. PerfectTune is versatile, fast and precise and makes it fun to tune your strings! Cast (coder's assistant) is a tool for programmers, but can help everybody; with Cast you can schedule events, actions and backups, check the amount of time you spend every day on your computer and the amount of ram, install keyboard shortcuts to launch tools, generate code from templates, check a detailed list of processes; all this simply by writing a small script. MediaCarve is a command line tool to recover media files from working and broken storage supports, disk images and so on. It carves data directly from the input, disregarding any information such as the file system. Currently supports the following formats: avi, wav, rmi, pal, ani, bmp, png, aiff, mp3, jpg.